North Korean state media blamed Donald Trump's political opponents for the "deadlock" over denuclearisation on Saturday, urging the US President to act boldly to make progress on the thorny issue. Trump and the North's leader Kim Jong Un held a groundbreaking summit in Singapore in June, which the US leader touted as a historic breakthrough. At the meeting the pair struck a vague agreement to denuclearise the Korean peninsula, but there has been little movement since. Meanwhile the North has criticised Washington for its "gangster-like" and "unilateral" demands for the complete, verifiable and irreversible dismantling of Pyongyang's atomic arsenal. On Saturday Rodong Sinmun, the North's most prominent daily, praised Trump for seeking to improve US-North Korea ties and achieve world peace, which it said would be the "feat of the century". "However, he faces too many opponents," it said in a signed commentary. The newspaper said Democrats and even some Republicans are hampering Trump's efforts for their own partisan interests while media hostile to Trump are undermining his policies. It accused bureaucrats and Trump's aides of "speaking and moving in contradiction to the president's will" and "distorting facts and covering up his eyes and ears in order to mislead him to a wrong decision". North Korea has demanded that America agree to declare an end to the 1950-53 Korean War, accusing the US of failing to reciprocate a series of its "goodwill measures". 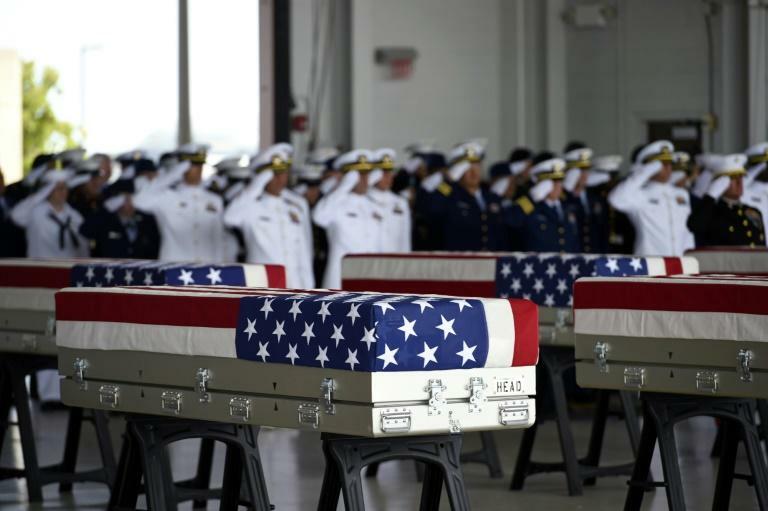 These include ending its nuclear and missile testing, the destruction of a nuclear testing site and handing over the remains of US troops killed in the Korean War. When Kim met South Korean President Moon Jae-in in April for their first summit, they agreed to push for a declaration of an end to the Korean War this year. But US officials insist denuclearisation of the North should be realised before such an event takes place. Trump's political opponents are "raising their voice, dismissing the Singapore joint statement and boycotting a declaration of an end to the war", Rodong Sinmun said. "The current deadlock in the DPRK-US relations requires President Trump's bold decision," it added. It also urged Secretary of State Mike Pompeo to brush aside speculation from opponents over the North's intentions. Pompeo, who is preparing for his fourth visit to the North, said Thursday his team was "continuing to make progress" with the North, expressing hope that "we can make a big step here before too long".